Google chrome is awesome with great bookmark manager and even chrome app stores which can give you everything you need, and all you can do it on Google chrome. Learn how you can create your own Google chrome application to launch a website from Chrome new-tab page. Hi everyone, welcome back to Intelligent computing. Today I am going to tell you how you can create your own Google chrome application and make it use to launch a website of your own choice. All you need to have latest version of Google chrome, and you need to switch to developer mode. After all you are going to do something different than all other end users do. Let me explain the files content and what you have to do. This is manifest.json file for launching Intelligent Computing. This is simple script file and all the fields are simple to understand. You just need to replace the bolded character in above file with your own. Also make sure you have an icon called 128.png as the icon for displaying in chrome new tab page. Replace the URLs, Titles, descriptions in above file with your own choice and save the file and make sure its saved in separate directory where you need to put and icon file called 128.png with width of 128p and start installing it in your chrome. 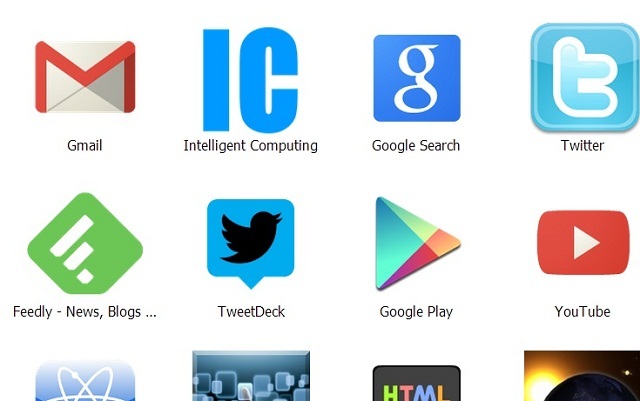 You have your simplest application ready now you have to install the application in your Google chrome. Now you can see option to turn on Developer mode. Check this box and you can see few more buttons now. Click on Load unpack extensions and a small browser will be open. Locate the directory where you have saved the both file. Now just select the folder and wait. 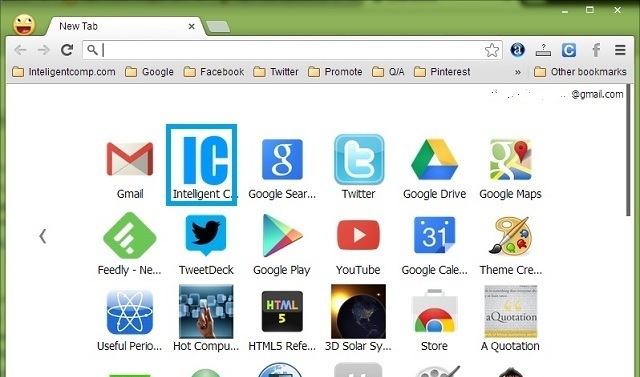 You can see your extension will be appearing in your Chrome extension page. You can see icon, name title, description version and all. Now you can go to New tab page and see your application present there. Just click on the icon and you launched the website successfully. You can learn a lot about creating chrome extension and understand manifest.json file its version and many more by visiting Google chromeapplication developer dashboard. Don’t forget to share this post and simple method and rock among your friends. Have awesome time all.